Hunting involves more than shooting. You’re often walking off the trail through trees and bushes and must watch your footing. This requires intermediate vision. While waiting, you may spend the time reading: a near vision task. Finally, your far vision is required for taking a shot. To ensure you can do this while looking through a rifle scope, consult your optician to get the right prescription. Progressive lenses make more sense than using multiple single vision lenses. A quick glance up from the near vision to far vision parts of a progressive lens is far preferable to switching out reading glasses for your scope glasses when you hear nearby prey. An additional requirement is that you use prescription safety glasses that are ANSI Z87.1 rated for high impact. Eye protection while using a gun is a must. 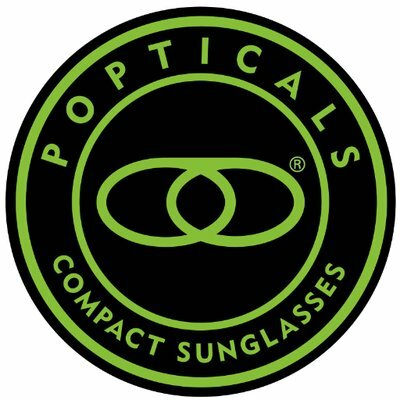 Progressive lenses can be made with polycarbonate, an exceptionally tough and impact resistant material. An antireflective coating for greater visual clarity and an anti-scratch coating are recommended. Fishing requires lots of distance viewing as well as intermediate vision for getting into and out of boats. You will need your near vision for close up work such as tying flies and baiting hooks. A pair of prescription Wiley-X sunglasses with progressive lenses makes sense for this sport. Polarized lenses are a necessity for blocking out water glare and for easy viewing of fish beneath the surface. Use either a UV blocking lens material such as polycarbonate, or get a UV blocking lens coating. In principle, you could do this activity with far vision only. However, many cyclists have a digital display to read on or near the handlebars. A progressive lens is certainly handy for reading a digital display while in an aerodynamic tuck. If your bicycle should have a flat, fixing it without the benefit of good near vision would be difficult at best. The same is true of making adjustments to your bike. Progressive lenses made from polycarbonate or Trivex will provide sufficient impact resistance to protect your eyes from small rocks and other road debris. They also block all UV radiation. In addition to far vision, you will need intermediate vision for negotiating rocks, tree roots, and other trail obstacles. You will certainly require near vision for using navigational aids such as a GPS, compass, and maps. If you intend to camp out, then many camping tasks require near vision. Polycarbonate or Trivex are recommended because of their toughness. However, if you’re a careful person, standard CR-39 plastic will work. CR-39 will require a UV protective coating because it lacks the innate UV blocking ability of polycarbonate or Trivex. There are many ways your prescription Wiley-X glasses can get scratched while hiking and camping. An anti-scratch lens coating will help. For safety and enjoyment reasons, don’t use progressive lenses in any sports activity until you are thoroughly accustomed to them. Their use should be automatic. If you need to think, then you aren’t ready to use them in the above activities, especially for cycling, where accidents can happen very fast. 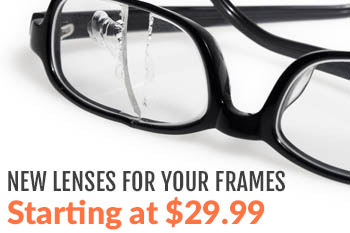 For information or help in getting the right prescription Wiley-X glasses with progressive lenses, contact us.